Great quality name badge. 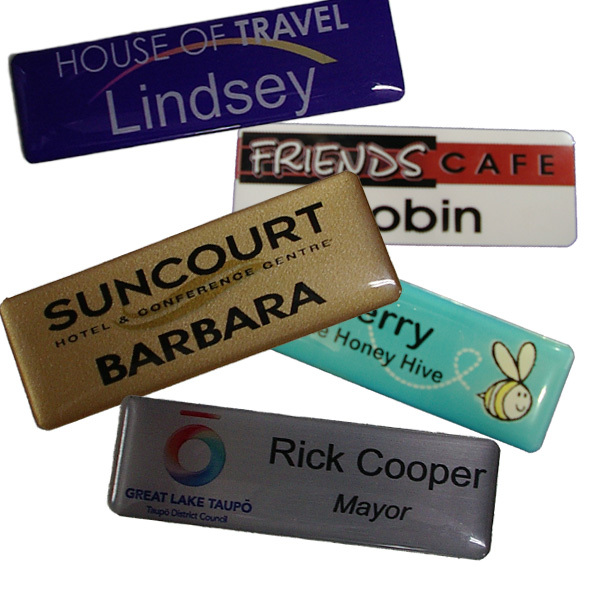 They can be domed (clear protective coating + $2) and you can have a choice of a pin or magnet fastening (+$2.50). No set up fee and proofs will be sent free of charge and the badge is only 2mm thick and flexible. Not sure which layout, size or colour – let us decide for you! PDF, TIFF, JPEG, GIF, AI, EPS, CDR, BMP, PSD files accepted. Alternatively email: choice@engraveit.co.nz (after your purchase).